— Frank C. Bucaro, CSP, CPAE, Values-Based Leadership Expert and author of If Good Ethics Is Good Business, What’s the Problem? 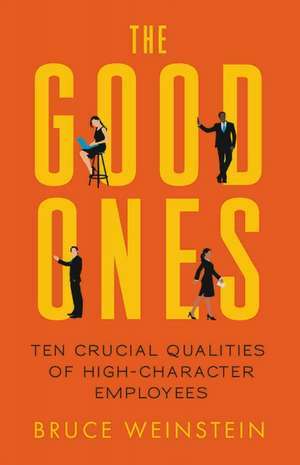 Dr. Bruce Weinstein, helps organizations hire and promote high-character people. Known as The Ethics Guy, Bruce is the author of Ethical Intelligence and Is It Still Cheating If I Don’t Get Caught? An in-demand speaker, his business clients have included the Home Depot, Northrop Grumman, and the National Football League, as well as nonprofit organizations, universities, and the military. He lives in New York City.